In the current real estate, creative space is a trending term with many definitions. Creative space is a type of co-working office space. 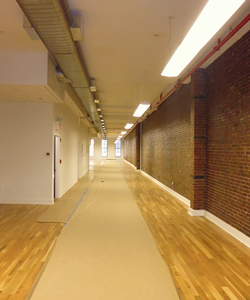 The type of space is popular among many startups, design, freelancers, and micro businesses. This allows the space and layout to collaborate and create more seamlessly together. A creative office space is an approach to enhance creativity while considering the emotional, mental, and physical elements. To nourish creativity, a traditional office may hinder the overall creative environment. Companies are learning to create for themselves the environment best for their work to flourish. A creative space can nurture, inspire, and foster the best creative work. What Makes a Space Creative? This type of space is more flexible and lends itself to many creative uses. Non-traditional spaces, like warehouse or converted spaces, are commonly multi-use spaces. As its namesake, this space is used mostly for visual arts. Many converted spaces, such as warehouses, industrial buildings, and factories, tend to attract the visual art companies. Many studios have a space for artist to license. A co-working space more closely resembles an office. Co-working is in contrast to the traditional office because the space is used by many people not all employed by the same company. Although there may be a common interest, art, or work idea. Creativity is the connecting idea through the space. Furniture is usually provided in the space to people. An office space can inhabit any space with the right furniture. 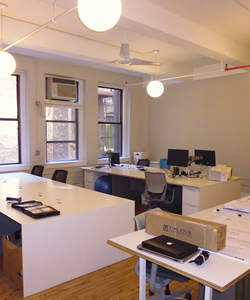 The space is typically where desk and chairs are set-up and offer per square foot. Albeit more traditional, the space must still contain creativity at the core. This type of space is where a desk and chair are arranged and available in shifts. The desk and chair are shared among the various people at different times. The agreements or contract are determined by the management and may have rules set forth. This is a more hands-on space. Individuals and companies can use the space to create, share experience and tools. While the focus may not be on technology, some may be present. The spotlight is on handmade designs and creations. These spaces focus on manual labor either by producing goods or wares. A factory or warehouse are included in this category. This space is favored by designers (interior, fashion, or graphic) and architects. The space is designed to a high standards and features a prominent aesthetic. Many design spaces include furniture with high design. Unlike a makerspace, this is a hands-on space focused on technology. The space can be used for individuals and companies to share equipment, experience, and knowledge. A hackerspace foster community for people working with printing, science, digital and electronic art. This space is focused on collaboration and socialization. A warehouse is a building that once had many purposes. Storage, industrial, or manufacturing purposes are common with warehouses. The layout of a warehouse is typically open spaces with little design and high ceilings. The studio is perfect for many styles of dance. With bright lighting, mirrors, sprung floors, and ballet barres are outfitted throughout the space. A gallery is perfect for presenting hanging art work, sculpture, or performance art. The equipment included in the space is to assist in exhibiting the art work. Lighting, white walls, partitions, and hanging systems are outfitted throughout the gallery to better feature art. This space is popular among artist and other creative people. The live/work space is cost-effective to live and work in the same place. The spaces are designed to function as a studio and residence. The large open space serves many functions. The space typically features a stage or performance area. A community hall can be found in church halls, bowling clubs, or community theatres. Photography studio is created to cater and function for photographers. Lighting, cycloramas, dark rooms, and a display area are general features in a photography studios. Equipment used for film editing is the main feature of this space. Another feature is temperature control which is important for keeping film from being damaged. This space is used for retail interests. The space is designed and set-up to highlight retail. Typically located in common retail areas. A pop-up shop is a practice of a temporary retail boutique or presentation. Display shelves, lighting, and furniture are included to benefit the temporary status. The space is used for theatre, performance, and/or music rehearsal. Sound equipment and lighting are sometimes included in the space. Audience facilities are not always included. This rehearsal space is directed at musical performances. Noise is expected in a space like this and definitely designed accordingly. Sound insulation and other equipment is put in place to buffer any noise complaints. This space is designed to feature performances usually in serve of an audience. Certain facilities are in the space to support the performance such as, a stage, lighting, sound equipment, and audience seating. This space is more inventive and atypical that other spaces. Non-traditional spaces are more adaptive and use every square foot in interesting ways. This space is designed for performances of music artist in service of an audience. A music venue needs a sound equipment, stages, lighting, and an audience area. This venue is responsible for expected noise control. This space is specifically referring to an artist space. This space is for a specific amount of time for an artist residency. The space is offered for little or no charge. Funding is often given to successful applicants to enable to use the space. This space is very specific to sound recording. Equipment for sound recording is included in the space. Sound mixing, microphones, and computers are important aspects to sound recording needed in the space. The space is responsible for any sound-proofing. The audience accessible space is for screening films. Projection and cinema screens are included in this space for screening.